Artist Statement: Living in the country on Clover Hill gives me inspiration for natureʼs beauty. 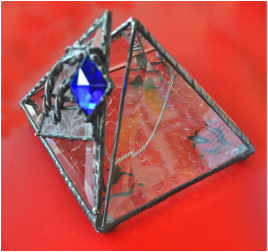 I enjoy designing and creating unique glass pieces, it speaks without any words. Great satisfaction fills me when the glass reflects my smile, I know itʼs finished. 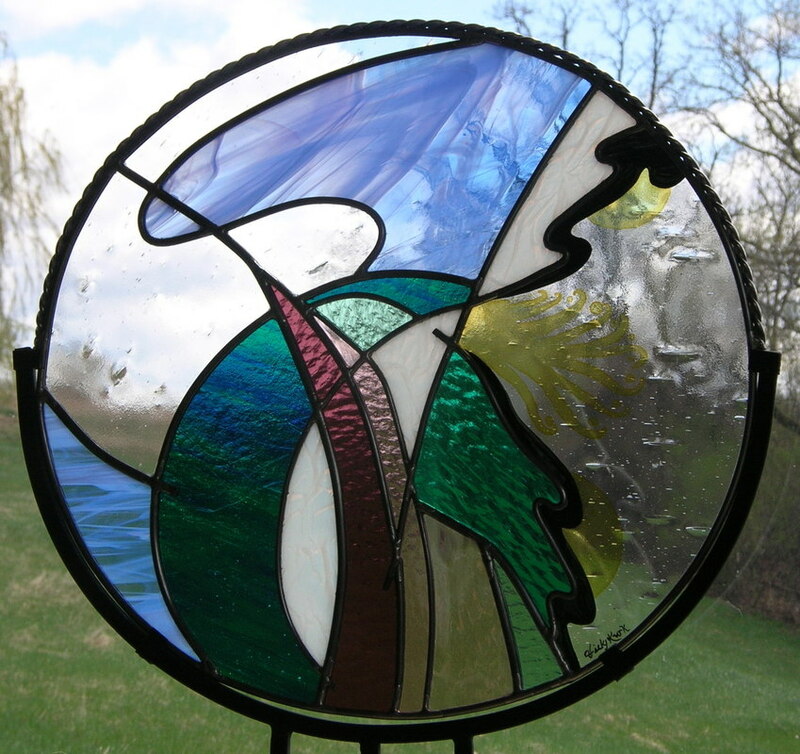 I work my leaded stained glass artistry from my studio in a hillside barn nestled in Duck Creek valley. I draw inspiration from the natural beauty from my surroundings. My designs are embellished with hand-painted, kiln-fired details and accents to give them extra depth and meaning. My passion is designing and creating unique pieces. My creativity comes out from within and from Above.